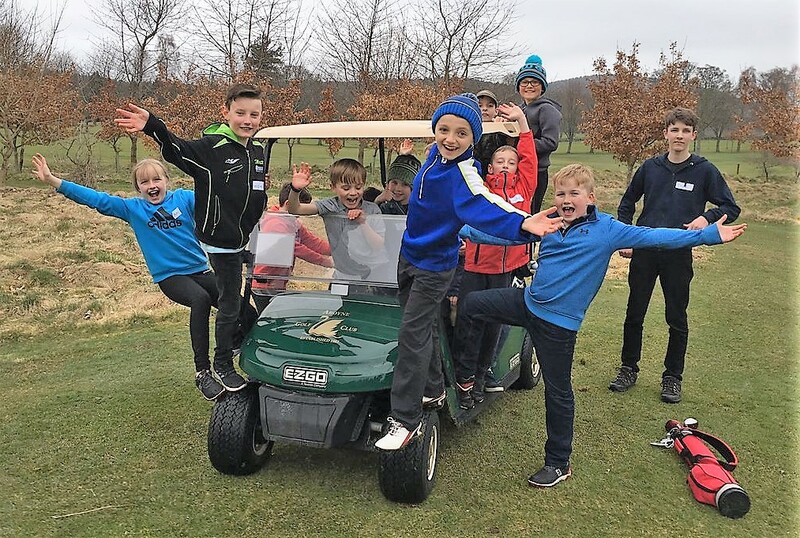 Aboyne Golf Club declared their two Easter 'ClubGolf' camps resounding successes after being oversubscribed during the school holidays with 25 young golfers graduating after their coaching course. The youngsters were put through their paces by Aboyne resident PGA professional Fraser Dunlop and his teaching assistant, Dominic Bradburn. Aboyne junior convener Scott Mackie said: "The children have had a great time developing their skills following three days of expert coaching on all aspects of the game by Fraser Dunlop. The course was all about having fun and learning about the game through exciting and varied activities.” Fraser said; "The group ranged from beginners with no previous exposure to golf through to experienced junior players at the club looking to hone their skills. We saw considerable progress during the course with improved golfing knowledge, some great team bonding, and the building of new friendships all achieved through a range of fun-filled and highly competitive activities. "All the youngsters showed good playing potential and I was delighted with their progress and happy to ignite their interest in our wonderful sport. Who knows we may have a future 'Masters' player amongst them!"